International pet travel may sound daunting at first and it’s certainly an endeavor that requires careful attention to detail, but it’s not impossible to carry out. With the right preparation and guidance, transporting your dog can be a safe and smooth part of your relocation. How is this possible? If you’re thinking seriously about relocating abroad with your dog, start your journey by taking the following steps. Research Import Rules — The first thing you’ll need to do is research the pet import requirements for your future home. Rules can vary significantly from one country to another, so go to an official source — like the USDA or a professional pet shipping company — to find out if you’ll be willing and able to meet the requirements. Start Crate Training – If you’ve decided to go ahead with your dog’s move, choose the correctly sized airline approved travel crate and start helping your dog get used to it. Dogs who like spending time in their crates experience much less stress on moving day, so it’s worth it to spend a few weeks or even months helping to make the crate a normal part life through gradual training techniques involving treats and toys. Here’s a video to help you choose the right travel crate for your dog. Build a Timeline – Once you know about the requirements, carefully build a realistic timeline. Rabies shots and other vaccines need to be given at a certain point in order to be valid, so be sure to limit your chance of delays by planning carefully. Talk to Your Vet – Scheduling a pre-travel health screening is never a bad idea, and this will give you the chance to bring up any questions or concerns with the expert who knows your pet the best. You’ll also eventually need your vet’s help with health documents, so talk to them early in the process to make sure you’re on the same page. Say ‘No’ to Sedation – Rumor sometimes has it that sedating a pet during travel can help nervous pups deal with flying. In reality, sedation is dangerous and not even allowed by the airlines. Sedation may interfere with normal breathing and a pet’s ability to regulate their own temperature, so it simply isn’t worth the risk when it comes to air travel. To reiterate: focus on crate training instead! 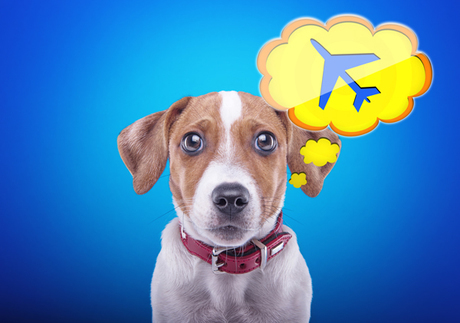 Choose a Pet-Friendly Airline – Not all airlines handle pets with the same amount of attention and care, so do your research and choose a carrier with established pet safe policies. Be Flexible – Weather delays, airline strikes and national holidays can sometimes affect your dog’s original move schedule, so start the process by mentally preparing yourself to deal with snags should they possibly arise. Have back-up plans ready to go just in case; for example, know where you would board your dog if a flight was pushed back by a day or more. Finally, remember that pets feed off your energy, so try to set an example by staying as calm as possible. Traveling across the world with your dog will probably feel overwhelming no matter what, but going about the process proactively will remove much of the potential stress from the experience. The more you research and ask for help when you need it, the better off your dog will be and the sooner you’ll be exploring your new home together. 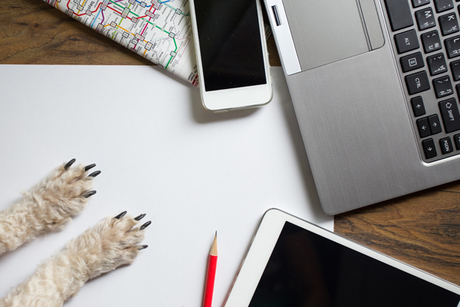 Caitlin Moore works for PetRelocation, a pet travel company that provides door-to-door pet transportation services to countries around the world.